Granite is one of the most durable types of stone available. It is a popular and highly recommended material for outdoor fountains. 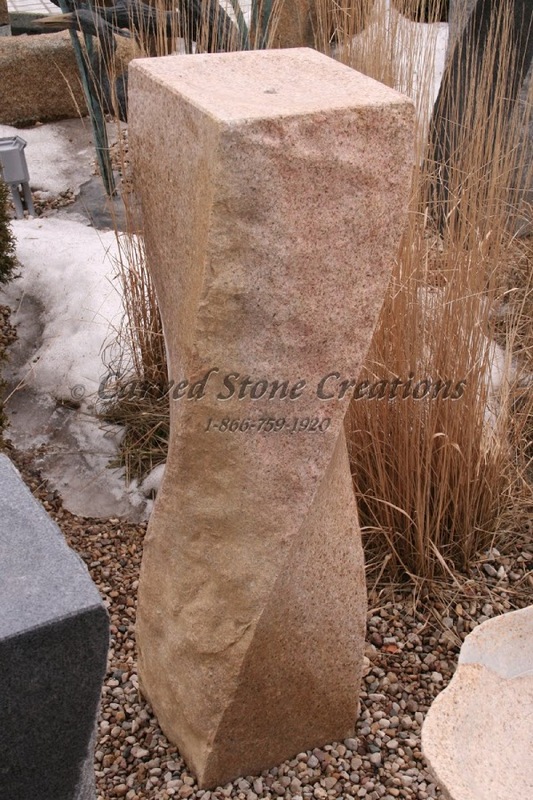 Stone fountains can be hand-carved into any design. Take a look at some of our favorite modern granite fountain designs. This fountain features sleek lines and simple shapes. The water trickles down the sides of the pedestal into a square-shaped basin. 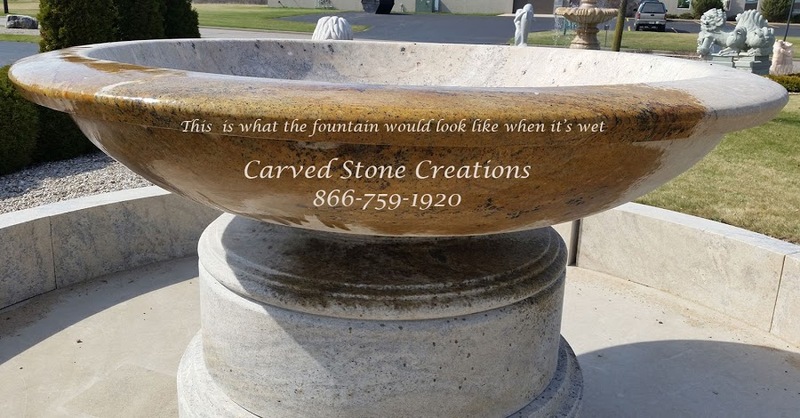 This fountain is carved from Giallo Fantasia granite stone and is sure to last a lifetime. Granite twist fountains are simple, yet beautiful. This fountain features alternating finishes on each side of the square fountain to keep the design interesting. The water slowly trickles out of the top of the fountain and down each side, highlighting the unique finish and twist shape of the fountain. Twist fountains can be carved from a variety of granite stone types and colors. 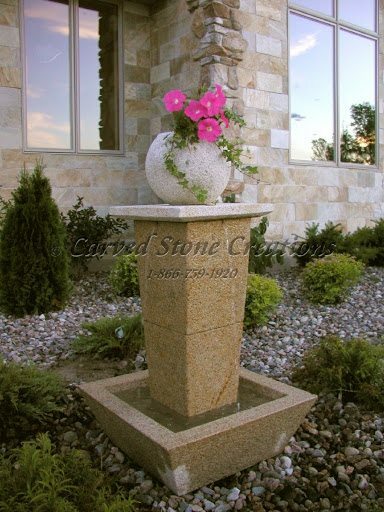 This large, urn-style pedestal fountain makes a statement in any landscape. The large basin at the top of the pedestal fills with water and pours it over the edges as it fills. The water then fills the larger basin at the base of the fountain. This particular fountain is carved from Cabo Sands granite, which changes colors when it is wet. Interested in designing a modern-style fountain for your landscape? Contact us to get started.